This is a Factory German Heckler & Koch HK MP5 rear diopter drum 4-position adjustable sight assembly. 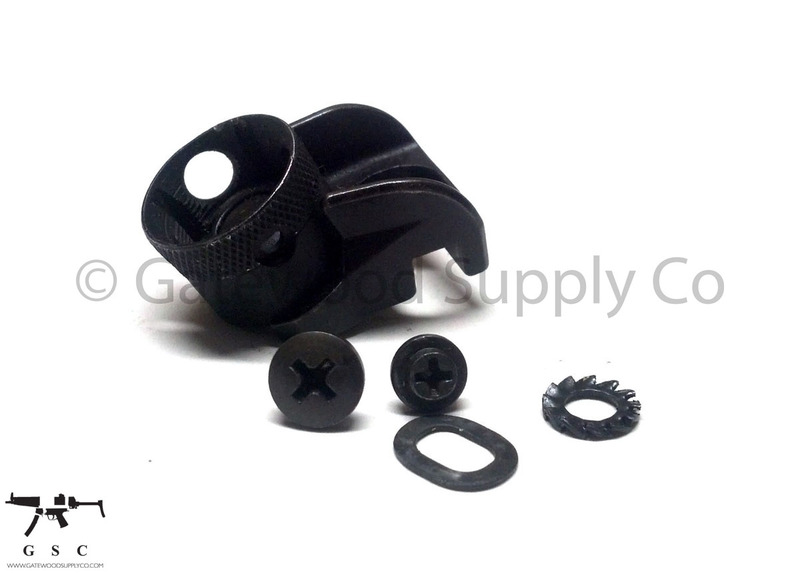 This parts set includes a rear sight, detent spring, windage screw, sight screw, washer and locking washer. These parts can be mounted on all H&K 9x rear sight base weldments, and the rear sight is round, not dented, and has 4-positions with a different aperture size for a variety of ranges. This is a factory correct German parts set for the HK MP5.